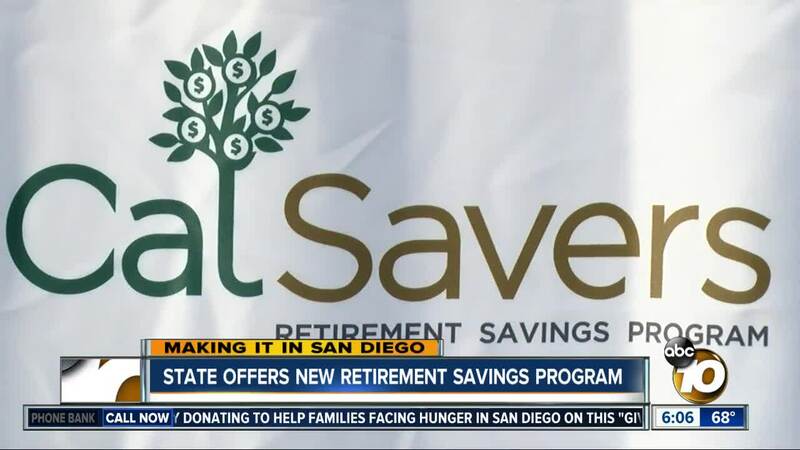 SAN DIEGO (CNS) - California State Treasurer John Chiang will visit San Diego Tuesday as part of a five-city tour to announce the launch of CalSavers, the state's new retirement savings program. CalSavers will serve as a state-run retirement plan for private-sector workers at companies with five employees or more. State officials boast that accounts provided by the program are portable and paid for by payroll contributions. Gov. Jerry Brown authorized the program's implementation in 2016 and enrollment will open next July. "CalSavers' goal is to escape a vicious, societal circle, where each successive generation of Americans is on track to retire poorer than the last," Chiang wrote in a March opinion piece in the Orange County Register. "If we continue this trend by doing nothing, the strain on taxpayer funded health and human services likely would undermine the long-term financial stability of our state." The Howard Jarvis Taxpayers Association filed suit against the state in May over the program, arguing it violates federal law to establish a state- run retirement savings program. The case remains pending, but Chiang expressed confidence earlier this month to the Fresno Bee that it lacks teeth. Chiang will be joined by State Assemblywoman Lorena Gonzalez Fletcher, D-San Diego, and AARP California Executive Council Joe Garbanzos at the launch event, which begins at 2:15 p.m. at the State Office Building at 1350 Front St. Chiang also plans to visit Los Angeles, Fresno, Sacramento and San Francisco.